When you think of security shutters, you probably think of the mall as it’s closing for the day. From the anchor stores to the food court, roll-down shutters provide burglary protection and thwarting vandalism, but these shutters have far more uses, including aesthetics, weather protection and noise dampening. A roller shutter, also called a roll-down shutter or roller door shuts a door or window off from outside elements, protecting the glass. Comprised of horizontal bars, slats or webbing systems hinged to form a solid, but pliable shutter, the roll-down shutter lowers within in seconds to minutes, depending on the method of deployment. Usually, manufacturers make these devices from aluminum or steel. Both manual and motorized shutters are available for residential, commercial and industrial properties. You can also find them for food trucks and vans. electric, using a tubular motor that allows automated operation. Roll-down hurricane shutters provide the safest option to cover windows and doors before a storm occurs. Rather than creating homemade plywood shutters or installing traditional colonial shutters, the roll-down option easily deploys, requiring only one person. They can be installed with a push-button operation option. These feature a battery backup system that allows the consumer to lower the shutters during power outages. The average cost of these ranges between $30 to $55 per square foot. For homeowners these shutters add to the home’s security at every entry point: garage, windows, laneways, personal libraries and TV enclosures. They also provide an added measure of security to detached property structures including boat houses, cabanas and pool houses. Whether aluminum or steel roll-down shutters, besides security, these devices also provide aesthetics, insulation, light reduction and noise reduction. These shutters block summer’s radiant heat, but help keep it from escaping your home in winter. This helps you save up to 30 percent on energy costs. Another reason to block out light is those who sleep during the day. Vampire jokes aside, these slatted shutters let you block light out completely in specific rooms so those working night or swing shift or who have migraines can enjoy a dark room. They work much better than drapes and can cost less. You can air out a house while maintaining its safety. The shutter slats can open partially while the window is open completely. You can enjoy a cool breeze without an open entry point. Homes near busy roads or airports will find these insulated shutters useful for noise reduction. Like earplugs for your house, some rollers can provide up to a 40 percent reduction in noise. This can help families with babies or small children by blocking noise so the children can sleep better. 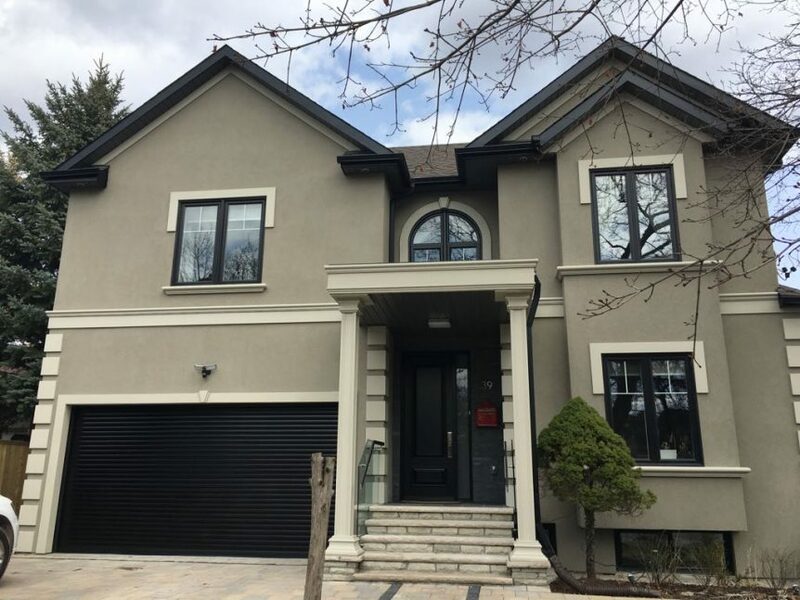 Unlike the mall shutters, the home designs come in a variety of colors. You can choose roll-down shutters in the same colors as your home’s exterior or to match your trim. They’re easily cleaned by power washing while closed or by spraying them with a hose and wiping them dry with a dry cloth. Shutters vary in size and weight depending on the size of the entry point they cover. While business security shutters also provide safety and security to the entry points and store front, they have many other applications, as well. In commercial applications, a roll-down shutter can protect access to a bank of file cabinets, to loading docks or to reception counters. This protects them burglary and vandalism. In offices, these shutters provide a handy method of reducing sun glare, making it easier to see computer and tablet screens. The reduced glare and eye strain make work more comfortable for employees. This also protects your carpets and office furniture from fading from overexposure to strong UV rays. Similar to the home, you’ll find these shutters reduce noise and improve energy efficiency. You can even save on window cleaning costs by lowering these to protect the glass from dust and sand on windy days. You can find roll-down shutters with a system that measures wind speed. In impending severe weather, you can evacuate your building and know that the shutters will deploy themselves if the wind speed exceeds the limit you’ve set. This is especially useful in hurricane prone areas where evacuation occurs days before a landfall or in areas where extreme weather can intensify suddenly. 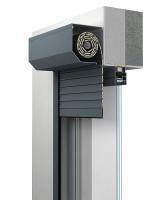 Contact RollerUp.ca for more information on these versatile home security shutters. Although they’re best known as burglary protection, roll-down shutters offer so many more benefits and utility.